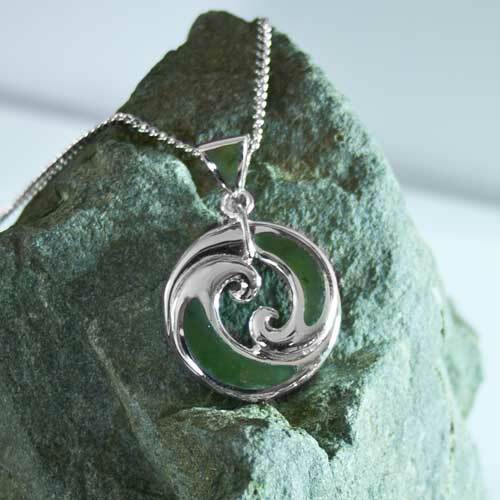 Genuine New Zealand greenstone set into a sterling silver double koru pendant, crafted to the highest quality by Moreton Jewellery. Hung on a sterling silver chain. Presented in a black presentation jewellery box. 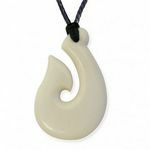 The Koru: This pendant also features a Double Koru design, the koru has been inspired by the unfurling fern frond, however in a spiritual sense the Maori use the Koru to represent peace, tranquility, personal growth, positive change and awakening. About Greenstone: When the first European settlers arrived on the West Coast of the South Island of New Zealand, they found the Maoris were using tough, hard and very besautiful green stone to make war weapons, cutting and carving tools and articles of personal adornment. 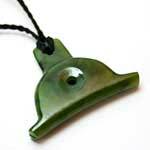 The Maori called the stone Pounamu, which liberally translated means Green Stone. The settlers, ignorant of the fact the stone was in fact Nephrite Jade, put the two words together and gave it the distinctive name - Greenstone and it is still known in New Zealand by this name. About Deane Moreton: Deane Moreton learnt his craft whilst working alongside his father in the family greenstone business. With over 30 years experience in sourcing and handcrafting New Zealand Nephrite Jade, Deane Moreton is now one of New Zealand's leading experts. Deane Moreton designs each unique piece himself and is inspired by New Zealand's rich culture and natural beauty. 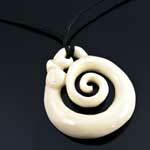 His collections feature traditional cultural and natural elements and each design tells a story of New Zealand. About Moreton Jewellery: Moreton Jewellery design and craft beautiful jewellery inspired by the unique elements that make our country special. 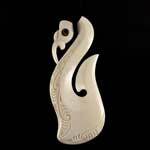 Moreton Jewellery capture the essence of New Zealand and each piece reflects the beauty of Aotearoa. 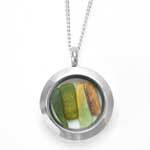 Moreton Jewellery is crafted with care, to the highest standards using the best natural materials. The Moreton Jewellery team are proud of the quality and care that goes into each piece. 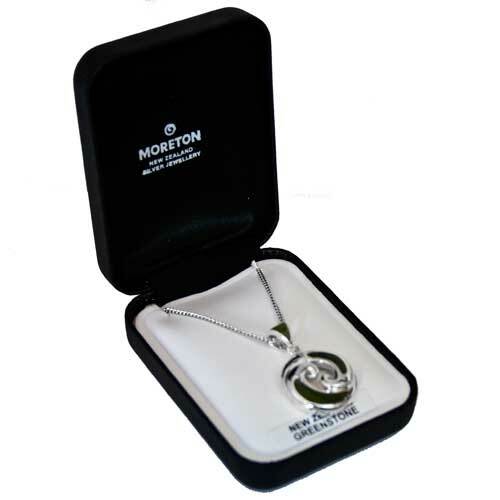 Moreton Jewellery is a proudly New Zealand owned and operated company and stand behind the quality of their jewellery. 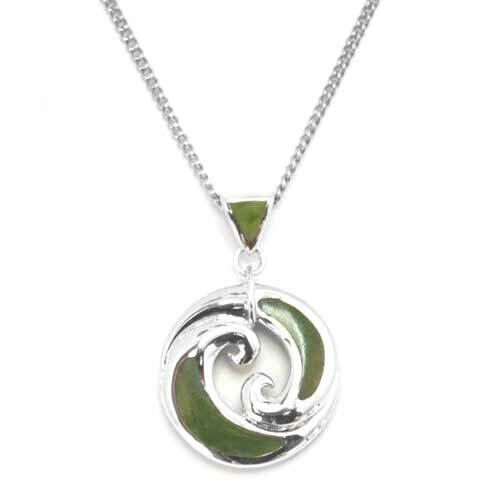 About West Coast River Jade/Greenstone: This stunning collection features unique handcrafted New Zealand Nephrite Jade set in sterling silver, the simplistic design compliments each stone and lets the Jade speak for itself. Every piece of the stunning Moreton Jewellery West Coast River Jade collection has been beautifully handcrafted by Deane. 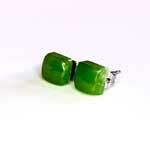 Nephrite Jade is also known as Flower Jade because of the never-ending range of colours. 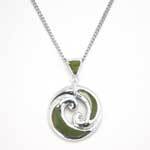 With colourations that are exclusive to Nephrite Jade from New Zealand these special stones are extremely rare and unlike any other. 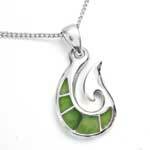 New Zealand Greenstone is best described as being one thousand and one different colours and shades. 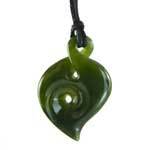 No two items made from New Zealand Greenstone are exactly alike. The range of colours that are unique to New Zealand Greenstone set it apart from the rest of the world!